If Cue Card bounces back and equals Kauto Star as a four-time winner of Haydock's most important jumps race there might not be a dry eye in the house, but the popular chaser's trainer Colin Tizzard is mindful of getting too emotional. 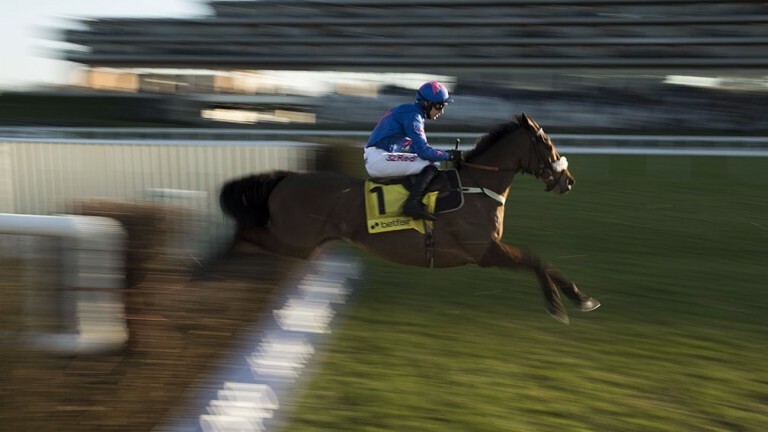 Cue Card's first Betfair Chase triumph in 2013 famously brought tears to the cheeks of Tizzard, whose son Joe was on board. "I did have the flu that day," the leading trainer recalled on Friday. "I don't think I needed to do that - it was out of control, but it was all good fun." Joe Tizzard has since retired, while Daryl Jacob and Paddy Brennan have come and gone as Cue Card partners; Brennan after a fall in Wetherby's Charlie Hall last time. Harry Cobden quickly got the call up on the 11-year-old, bidding for a ninth victory at the top level. Tizzard added: "We thought we had him ready at Wetherby and unfortunately he fell. He was in a good position, going easy enough and I think he's every bit as good as he's ever been and he does like heavy ground, so everything is in favour. "It was heavy at Haydock last year and he floated on it, loved it, so it's fine. His ratings are in front of Bristol De Mai, who is a beautiful horse, but if Cue Card was an eight-year-old he'd be odds-on favourite. "His form last season was better than any of these and I've no reason to think he's any different. He went to Wincanton for a showboat after Wetherby and is in good form." Nigel Twiston-Davies is happy to play the part of pantomime villain if it means Bristol De Mai emerges on top and spoils the Cue Card party. The Charlie Hall victor has had two trips to Haydock on testing ground, winning by 32 and 22 lengths. "He seems in very good nick so we're looking forward to it," Twiston-Davies said of the likely favourite. "He ticks a lot of boxes for this, and the race distance increasing by a furlong and a half shouldn't be a problem. He's always been a fabulous horse and is only six." Twiston-Davies, who scooped last Saturday's big prize with Splash Of Ginge, added: "We were lucky enough to win last time and Cue Card didn't so I expect that's why we're favourite. "We're the young one coming up and Cue Card's got a bit to prove I suppose now, but he only fell; he wasn't beaten." Ireland have yet to win the Betfair Chase, first run in 2005, but while Sizing John is an absentee due to the ground, the prize could yet head back across the water courtesy of Outlander. A first ride at Haydock for Jack Kennedy, Outlander will be seeking a fourth Grade 1 win over fences. The nine-year-old, who gave Kennedy the first top-level win of his career when landing the Lexus Chase at Leopardstown last season, comes into the race off another Grade 1 success in the Champion Chase at Down Royal three weeks ago, a victory that followed three below-par performances. Trainer Gordon Elliott said: "We had Outlander operated on for a kissing spine problem after the end of last season. He showed good improvement from his first run of the campaign to win at Down Royal, he's been in good form since and the testing ground shouldn't be a problem. "A lot will depend on which Outlander shows up. If he produces his best then he'll have a good chance, but he has disappointed us a few times. We're happy with him and hoping for the best." Two starts ago Tea For Two was surging to a neck victory over Cue Card with Bristol De Mai back in fifth in Aintree's Bowl in the spring. 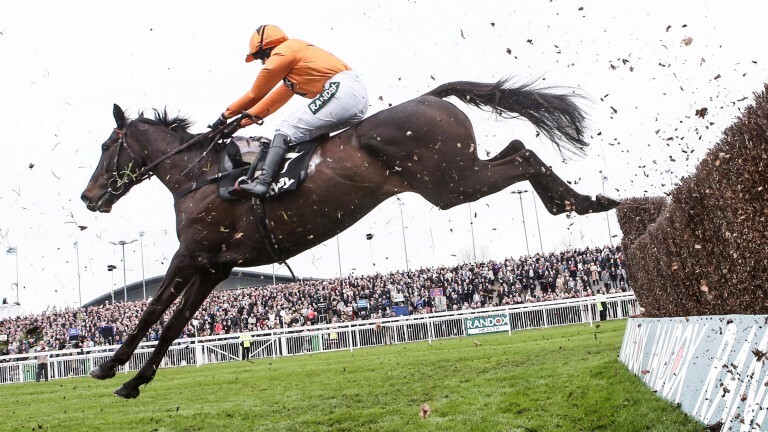 However, the eight-year-old's return to the track for last month's Old Roan Chase did not go to plan as he was beaten 41 lengths into ninth. "I think it was a few things culminating together," said jockey Lizzie Kelly, still scratching her head over the classy son of Kayf Tara's no-show. "I imagined he'd be a bit free so I was probably a bit further back than I would have been had I known he wouldn't be free. "Nothing came to light and he's working well at home, doing everything we want him to do. Fingers crossed it was just one of those strange anomalies." Kelly, whose stepfather Nick Williams trains the 8-1 shot, who runs in the colours of her mother Jane, has had arguably her finest days in the saddle on Tea For Two, having won a Lanzarote Hurdle and Feltham Chase on him. She added: "The race has cut up completely. Two months ago it was looking like it was going to be the hottest race around with Might Bite and Sizing John, but they're not running. Although we have beaten Bristol De Mai, I think the conditions and track will suit him and he's rightful favourite. "I'd be slightly worried about the ground for Tea For Two, but other than that I'm full of confidence." Like Tea For Two, Shantou Flyer has to respond to a heavy defeat last time – to Bristol De Mai in the Charlie Hall in his case – but trainer Richard Hobson is convinced he will. "We wanted to get a run under his belt in the Charlie Hall and he badly needed it, but he came out of it bouncing and kicking," said Hobson, whose challenger exercised at Newbury on Tuesday. "Fitness-wise he's a different horse. He's very well and we're not talking about a horse who's 66-1 here. We're talking about a horse who has plenty of ability and is rated 154. "Bristol De Mai is going to be hard to beat, but we're really hoping he can run on for a place. He'll show a lot more than he did on his first run." Gary Moore is also hoping to pocket some prize-money with Traffic Fluide, fourth in the Old Roan and at home in testing conditions, according to the trainer. "It's a massive ask, and the trip is an unknown, although he looks as though it should suit him," said Moore, whose representative is ridden by his youngest son Josh. "I don't think it's the strongest race there's ever been for £200,000 and I'm hoping the heavy ground is going to make a big difference to him. "I took him to Goodwood after their final meeting of the year and worked him on the soft ground there. It was the first time I've seen him really able to stretch."